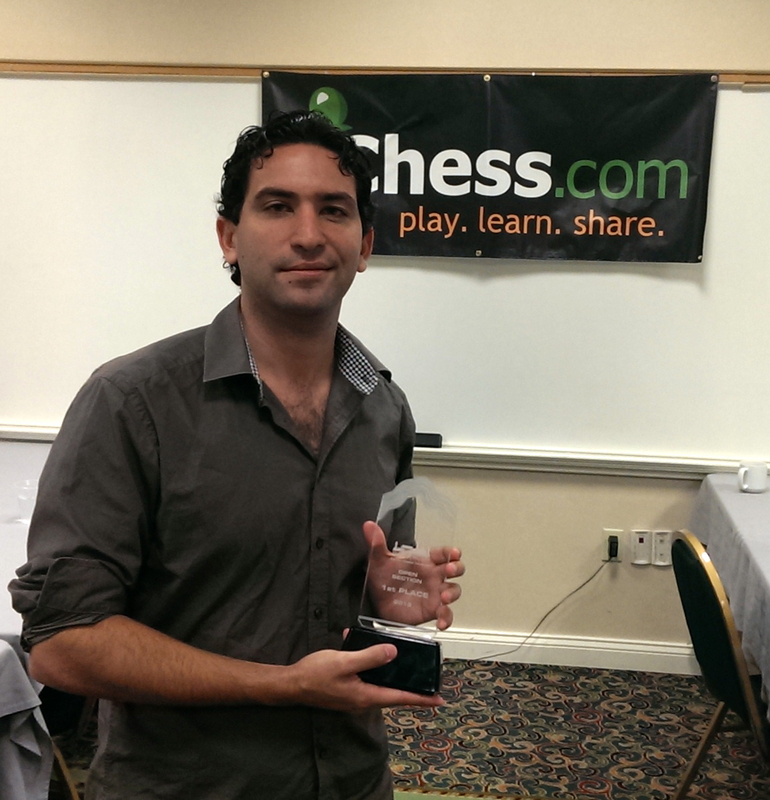 The 2nd Annual Washington International was won by GM Yuniesky Quesada Perez (CUB) with a score of 7/9. By drawing his last round game against IM Michael Mulyar, GM Perez finished a half point ahead of Mulyar, GM Ilya Smirin and IM Daniel Ludwig and took home the $5000 first place prize. IM Mulyar had secured a GM Norm in the eighth round when he drew Ludwig. Ludwig earned his third GM norm with his last round draw. At this year's Washington International we made 30 second highlight videos for each day. Browse through them all and get a feel for the tournament. The Washington International returns for this year to the Rockville Hilton on August 6th. We've major several changes this year such as increasing the prize fund, adding a "B" section, lowering the entrance fees, and having minimum prizes for all non-US FIDE players. You can see all the details at http://washingtoninternationalchess.org.